The 1980 Hague Convention aims to provide a parent who is left behind when the other parent travels with their child to a different legal jurisdiction without permission with a swift remedy against the wrongful removal or retention of the child. As Lord Hughes explains In the matter of C (Children) , the Convention is in force across 97 states. It aims to ensure parent’s rights are respected across those states and to “secure the prompt return of children wrongfully removed to or retained in any Contracting State”. Under article 12, if a child has been wrongfully removed the court must return them to the state they were removed from—unless one of the human rights exceptions in article 20 or other common-sense exceptions in article 13 applies. Article 11 requires a State to act fast—within six weeks—to put the situation to rights; after this period the left-behind parent is entitled to an explanation. The case at first instance concerned a father (F) attempting to use the Abduction Convention to secure the return of his two young children to Australia, their country of origin. Both had been taken to the UK by their mother (M). At first instance the court concluded that ‘anticipatory retention’ was not a concept recognised under the convention, that the wrongful act therefore occurred only at the expiry of the period the parents had agreed on, and that the children were habitually resident in the UK when F made his application. F appealed this; the Court of Appeal concluded that anticipatory retention is a recognised concept and that the judge had been right about habitual residence, but that the case needed to be remitted on the issue of when the wrongful act occurred. M appealed against this remittal, while F cross-appealed on the decision regarding habitual residence. Can a parent who is left-behind, when the other parent travels with the children, make a successful application for summary return using the Abduction Convention in the country the children have travelled to, if the children are already habitually resident in that country at the time of the alleged wrongful act? Is there such a concept as repudiatory retention and was there, in this case, repudiatory retention of the children? The Supreme Court ruled on the first question that such an application could not be successful. As regards the second, it was held that repudiatory retention is possible in principle but the majority view in this case is that there had not been repudiatory retention. M was originally from the UK. She moved to Australia in 2008, where she married F and had two children with him. By the end of 2014, their marriage was struggling. Before her maternity leave was over, M wished to visit the UK with the children to visit their maternal grandmother. Both M and F agreed that M and the children would travel to the UK for eight weeks, with the children being there under six month long visitor visas. The visit began in May 2015. Whilst in the UK, M decided she would like to extend her stay there with the children—she and F agreed to an extended visit of a year. M then began taking steps to regularise the children’s stay in the UK. She quit her job in Australia and began looking for a job in the UK. In September 2015 she enrolled the couple’s elder child at a local pre-school. M applied for British citizenship for the two children on 2nd November 2015. Later that month M instructed solicitors to write to the Home Office; they did so detailing a risk of domestic abuse that would make it impossible for M and the children to return to Australia safely. In correspondence with F, M began to make it clear that she did not wish to return home at the end of the year-long stay in the UK (May 2016). The judge later found that M had been of this opinion from about April. By June 2016, M had made it clear to F that she wished never to return the children to Australia. F made his application to the High Court of England and Wales for summary return of the children under the Abduction Convention in June 2016. As discussed above, F was unsuccessful at this stage and he began the appeal process. article 12 does not specify that the child must be returned to their state of habitual residence and this reinforces the fact that being habitually resident in a state does not prevent a claim being made there. If this argument were accepted in this case, it would mean that if the children were habitually resident in England before the alleged wrongful act took place, it would be English law rather than Australian law that was applied to decide if the act was wrongful. Lord Hughes rejected this argument entirely. Firstly, he stated that it would only make sense if one only took articles 3 and 12 into account. “It is, however, not a persuasive construction if one takes into account the general scheme of the Convention. Nor is it the way that the Convention has been operated over the nearly 40 years of its life.” Habitual residence was “already established as the principal internationally-recognised basis for according jurisdiction relating to the upbringing of children” prior to the Convention and there is no reason to assume this has changed. Secondly, article 16 prevents the courts in the state where the application is made from making a merit-based decision – indicating that they are supposed to refrain from applying their own laws to the facts of the case. Thirdly, such an argument provides the travelling parent with an unfair advantage. Lord Hughes quoted Lord Wilson and Baroness Hale’s judgement from In re E (Children) (Abduction: Custody Appeal) , where it was said that “The left-behind parent should not be put to the trouble and expense of coming to the requested state in order for factual disputes to be resolved there. The abducting parent should not gain an unfair advantage”. Additionally, it would be inconsistent with the aims of the Convention to bring about remedies swiftly if it was necessary for the left-behind parent to wait until the end of the agreed period for an act that was repudiatory. In terms of what would count as repudiatory retention, Lord Hughes thought it “unwise to attempt any exhaustive definition”. However, it seems that the court will require a “subjective intention” not to return the child, evidenced by some “objectively identifiable act or statement, or combination of such”. Communication of repudiation to the left behind parent is not necessary for the act to count as repudiatory and repudiatory retention can be a “continuing process”. Lord Kerr agreed, somewhat reluctantly, that repudiatory retention can occur. However, he thought remittal of the case for a new examination of the evidence was necessary (just as the Court of Appeal had). Lord Wilson agreed. M’s appeal to the Supreme Court was allowed. F’s cross-appeal was dismissed. Overall, F’s claim using the Abduction Convention did not succeed, based on the fact that a claim could not be made in the state where the children were already habitually resident. This is in line with previous interpretations of the Convention. 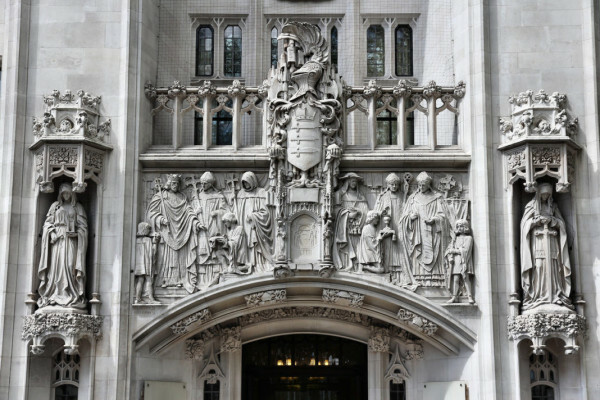 When should family law cases be transferred to the High Court?